Our Sheds have a Lead edge Ridge cap to ensure weather tightness. The cladding and roofing are made from high tensile .40g ColourSteel™. Choice of colours from the ColourSteel™ range – also available in Zincalume™ finish. The advantage of a built in floor is that the shed can be relocated if required, The raised timber floor is a drier environment than concrete (21mm H3 treated ply on 150*50 H5 treated joists). Bettershedz™ Gable end sky lights provide excellent day lighting, reducing the problem of condensation experienced with overhead skylights. Flashings are all custom made and include safety edges where required. 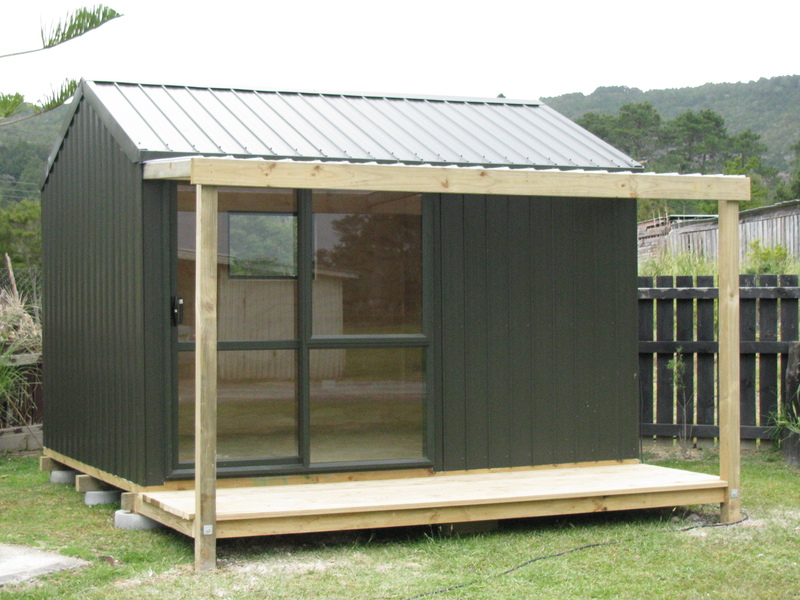 Bettershedz™ offer two door designs. The doors have a solid timber frame and heavy duty door hardware including a key lockable “T” handle & cabin hooks. Our double doors are located at the LHS front of the shed, far more practical than in the centre. (Optional: door & window locations). The door has a solid timber frame and heavy duty hardware, and slides back into its own ‘pocket’ concealed in the shed wall. Our High gable gives plenty of head room. 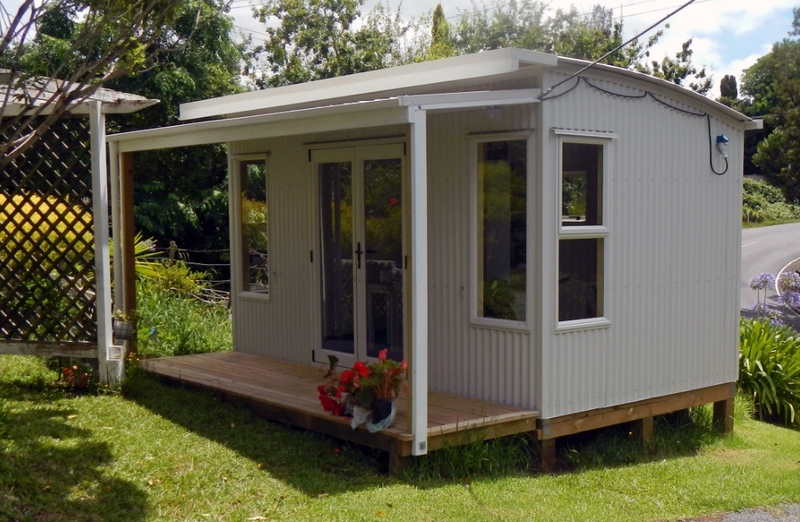 This feature turns your garden shed into a very practical workshop, Hobby room, office etc. The shed cladding is folded around the corners of the shed. This construction method eliminates leaks and adds considerable bracing strength to the shed. It also provides a professional looking finish with no sharp edges. A metal flashing is fitted at the bottom of the cladding to minimise insect & animal access, this flashing also directs rain water away from the floor area. All our sheds and sleep-outs have a folded gutter system with 65mm diameter droppers (enabling easy rain water collection if required). Built in work bench, Louvre Window, Tool racks, Shelving, Roofing paper, & Vents etc. As bespoke builders, we build to suit your needs, wider doors, ramps etc are no problem to us. Just tell us what you need and we will do the rest.